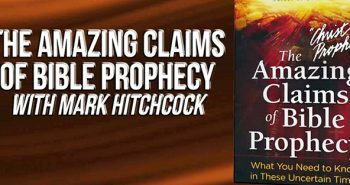 Bill has been kind enough to allow The Christ in Prophecy Journal to reproduce the “Caught Up in the Pre-Trib Rapture” interview in transcript form, edited into an article series. To listen to the original radio program in mp3 format, I invite you to visit Prophecy Depot or KWBB. In this segment, Bill and I will be discussing a vital message for those left behind after the Rapture. Bill Salus: A great passage about the Rapture is 1 Corinthians 15:51-54 which begins with, “I tell you a mystery.” Therefore, the Rapture is one of those mysteries of the New Testament that Paul introduces. The passage goes on, “we will all be changed — in a flash, in the twinkling of an eye.” As I understand it, in the original Greek language they didn’t have nanoseconds, so blinking your eyes was the quickest measurement they had to describe a nanosecond in their vocabulary back then. 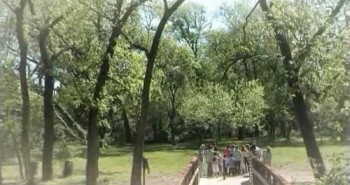 Bill Salus: I put on my website at prophecydepot.com the video production that you recently produced about the Rapture (see below). In there is a very powerful message that you are trying to get across to people who are left behind. Talk a little about your production. What inspired you to do it? What is the intent of the message? And, in addition to finding it on my site, how they can find it on your site? Nathan Jones: Certainly. Lamb and Lion Ministries exists to proclaim the soon return of Jesus Christ to as many people as we can as quickly as we can before the Rapture happens. One of the great things about the Internet and the Web and technology like that is that they help us accomplish that goal. We also know that these technologies will continue to exist throughout the terrors of the Tribulation. 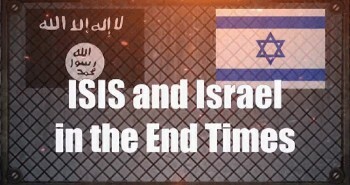 For example, when the two witnesses who preach in Jerusalem from Revelation 11:1-14 are killed 3 1/2 years into the Tribulation, the whole world will see them die. And so, we know satellite technology and television still be in use. The wonderful thing about our website and any of the Bible resources that we leave online is that they will be there for people after the Rapture to answer their questions. They want to know what has happened. Where did these people go? Like you said, it will happen in a flash and twinkling of an eye. Two people will be walking and all of a sudden one is gone. The Rapture will create total havoc in the world. We wanted to be able to answer these people’s questions. Now, we understand during that time there is going to be a great delusion on many people. Maybe they’ll believe aliens snatched up those raptured. Or, they will try to explain it away with Global Warming. Bill Salus: Someone is going to have to give an explanation.Nathan Jones: Oh, yeah! They will have panels of experts talking about how it happened. We instead wanted to leave the truth with people. And so, I sat down and wrote ten answers to common questions that people basically would have, starting with the basics like “Is there a God?” and “Does He have a Son?” I walk the viewer all the way through the salvation message so they know what to expect, and they will have the real truth out there. Nathan Jones: The video’s called “Jesus Came. What’s Next?”Because YouTube has a 10 minute time limit for posting videos. We tried to make it in under 10 minutes, but it is awfully hard to answer such big questions in under 10 minutes. Bill Salus: You actually have the video in two parts, right, because I posted two parts? Nathan Jones: I broke it into two for YouTube, but services like Yahoo Videos and others allow you to post longer ones. In Tangle we’re given up to 20 minutes. Bill Salus: If they want to get the video in one solid part they can go to Tangle? Nathan Jones: The video can be found on Tangle or Yahoo Videos, or Daily Motion. And, I even have it on my Christ in Prophecy Facebook group. We have it posted just all over the place. People can find it in a search by typing “Jesus Came” or “Rapture” or “people disappear.” I tried to phrase it more like if they had a question. “Did many people disappear?” They can look that question up in Ask.com. My hope is that others as well will disseminate this video all over the Internet and when the time comes people will find it. Of course, we have it on our main website, but you never know what will happen to our website and for how long during the Tribulation it will stay up. We have extended written versions of this video all over the place in both English and Spanish (thanks to Donald Dolmus of En Defensa de la Fe). Of course, other methods electronically are to pass them through people’s IPods and cell phones and devices like that. We just want to leave it out there and it is our prayer and hope that tens of thousands or even millions (I don’t know how many) will watch it both before and after the Rapture. I pray that the Lord will really bless this message of hope and will get it out to those people who are receptive to it. Someday I would like to see many people come to know the Lord through this resource and meet them in Heaven one day. Bill Salus: Well, $5 that is quite a deal! Nathan Jones: It’s $5 just because of the materials and the ink. I would give it away free if I could. A gentleman this week just bought 60 copies because he wanted to give them to all his Bible Study friends. For the written versions, people tell me they print them out and leave them around or give them to relatives. The idea is to proliferate both the video and written versions out there, leaving them all over the place so they’re easily accessible. Hopefully, the Lord will have a few people set up during the Tribulation that will come across the message, accept the Lord, and will continue to disseminate the message further during that time period. Bill Salus: Sometimes the concern is that with the Internet who knows if the “god of this world” (Satan) in the aftermath of the Rapture won’t shut down powerful websites and things along those lines to try to prevent the longevity of something like what you have done in staying on the Internet. Therefore, these hard copy DVD’s that are being circulated could end up being very powerful witnessing tools in the aftermath of the Rapture. Nathan Jones: I think that we can guarantee the world will become like China where they shut down key words and search terms like that, so that the world will not be able to look up certain topics. 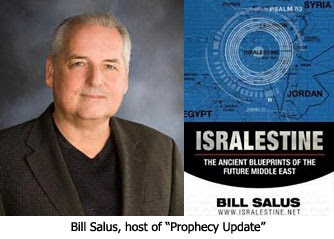 Bill Salus: Yes, as it coughs up its dangerous explanation of what just happened, you are right, the best witnessing tools could be the books and the DVD’s and the hard copy materials that will last. Bill Salus: I saw your production on the Lamb and Lion television show “Christ in Prophecy.” You and David Reagan did a special on it. After I watched that special I was immediately brought to tears, Nathan. I tell you it was a well done production. I think the video is especially gripping to those who understand the stage is set. The world in the aftermath of the Rapture with the rise of the Antichrist will believe all sorts of signs and lying wonders, and it will be a harlot world religious system that will just be sweeping through the world and captivating souls. You know, there are people whom we love presently who do not know the Lord. The Rapture could happen at a twinkling of an eye, right now, because it is imminent! All the signs are there pointing to the need to listen for the sound of the Archangel’s shout and trumpet. It just gripped me because my concern is for the lost who are going to go through the subsequent traumatic times. Nathan Jones: Well, praise the Lord, Bill! The idea is that the video is a message for those left behind, but I would be very happy to see people come to know the Lord through it now before the Rapture so they can be included in the Rapture. It can educate Christians, too, about the end times. I have had a number of people write in, including a gentleman from England. He wrote that he didn’t know that much about the Rapture. He thought it was something quiet or mysterious that no one would know about. Well, the Bible is very clear that it is going to be a very loud event. We’ve got a shout from an archangel and a trumpet. And, though it might happen in a blink of an eye so that only believers alone possibly are hearing it, the Rapture is still going to have great global impact. It is going to let the world know there is a God, just like the ending of Ezekiel 38 and 39. And so, I am hoping that this video is very educational for Christians in the Church Age. i wrote a 3 page paper on why i believe in a pre-trib rapture for a postie friend of mine. i accidently made way too many copies. and because i`m a slob kinda i have copies of them lying around in my car, my bible, my room (just moved and was looking for something in a box so i took out the paper and thru it on my dresser) living room and other places. it the rapture were to come before i clean out my car or my house or room (which it may considering hoe often i clean) that would be the first thing a looter or friend would find. Three pages?! Single or double space? I'd like to read that, hartdawg. Why don't you get a copy of it to Nathan and have him forward to me? Maybe we'd all like to read it. I picked up a lot of good ideas. It was a real honor and privilege to do the translation of that article. I pray it will bless a lot of people. If you have Spanish speaking friends, you may want a copy of this article. Bill Salus says, "A great passage about the Rapture is 1 Corinthians 15:51-54 which begins with, "I tell you a mystery." Therefore, the Rapture is one of those mysteries of the New Testament that Paul introduces." Without a doubt, I believe that the event we call "the rapture" is also found in Revelation 10. Many love to point to 1 Thess 4:16 and 1 Cor 15:51-54 when discussing the rapture, but then fail to see it in the Revelation of Jesus Christ because they read the text with pre-trib lenses. Notice the words I have emphasized above. I believe that this is directly related to 1 Thess 4:16 and 1 Cor 15:51-52, the most popular rapture passages in the entire Bible. 1 Thess 4:16, "For the Lord himself shall DESCEND FROM HEAVEN with a SHOUT, WITH THE VOICE OF THE ARCHANGEL, and with the TRUMP of God: and the dead in Christ shall rise first" *and* 1 Cor 15:51-52 reads, "Behold, I shew you a MYSTERY; We shall not all sleep, but we shall all be changed, In a moment, in the twinkling of an eye, at the LAST TRUMP: for the TRUMPET shall SOUND, and the dead shall be raised incorruptible, and we shall be changed." These incredible parallels are not just a mere coincidence. In fact, let's take a closer look at the identity of the "mighty messenger" of Revelation 10. I believe that we can ascertain exegetically and hermeneutically that the "mighty messenger" that John sees coming down from Heaven (often translated as “angel”) in Rev 10:1 is a direct reference to Jesus Christ. (IMPORTANT: We need to keep in mind that “angel” does not always refer to a created being, though it normally does in most cases. The Greek word for “angel” simply means “messenger” and at times can be referring to a Christophany or Theophany, especially in the Old Testament.) John borrows extensively from the Old Testament so this could very well be a Christophany here as well, and I believe that it is. Here is why. In Rev 10:3 we read that “he gave a loud shout like the ROAR OF A LION.” This is a significant clue for we know that Christ is the One who roars at His coming. Jeremiah 25:30 says that, “‘The LORD will roar from on high, And utter His voice from His holy habitation; He will roar mightily against His fold. He will give a shout, as those who tread the grapes, Against all the inhabitants of the earth.” In Hosea 11:10 we read, “They shall walk after the LORD: he shall ROAR LIKE A LION: when he shall roar, then the children shall tremble from the west.” Joel 3:16 says, “The LORD also shall roar out of Zion, and utter his voice from Jerusalem; and the heavens and the earth shall shake: but the LORD [will be] the hope of his people, and the strength of the children of Israel.” Amos 1:2 says that “The LORD will roar from Zion, and utter his voice from Jerusalem; and the habitations of the shepherds shall mourn, and the top of Carmel shall wither.” 1 Thess 4:16 says that “For the Lord himself shall descend from heaven WITH A SHOUT, with the voice of the archangel, and with the trump of God: and the dead in Christ shall rise first”. And the clues don't just stop there. Note that this “mighty messenger” in Rev 10:1 comes down from heaven “clothed with a cloud”. During the Second Coming Jesus Christ is “coming on the clouds” or “coming in a cloud” (Matt. 24:30, 26:64, Mark 13:26, 14:62, Luke 12:27, Rev. 1:7, Dan 7:13). Indeed, even when Jesus ascended to Heaven “he was taken up; and a cloud received him” (Acts 1:9). Even the “rainbow upon his head” is another clue in my opinion. (The only other reference to a rainbow in Revelation is in 4:3 when John describes the throne of God. Could the rainbow be symbolic of holiness, authority, the Covenant?) Moreover, “his face was like the sun”, which should remind us immediately of Rev 1:16-17 where the One who calls Himself “the first and the last” is described by John as having a face “like the sun shining in all its brilliance”. It should be quite obvious to us that this is none other than JESUS CHRIST! So you see, in Revelation 10 where we find the last trump and the mystery of God being finished we have a PERFECT harmony with the two most popular rapture passages in the Bible. This undeniable fact is proof that there is no pre-trib rapture. Quote: "First of all, you must understand that in the last days scoffers will come, scoffing and following their own evil desires. They will say, 'Where is this coming he promised? Ever since our fathers died, everything goes on as it has since the beginning of creation.' But they deliberately forget that long ago by God's word the heavens existed and the earth was formed out of water and by water. By these waters also the world of that time was deluged and destroyed. By the same word the present heavens and earth are reserved for fire, being kept for the day of judgment and destruction of ungodly men." "Where is this coming he promised?" There is their answer.